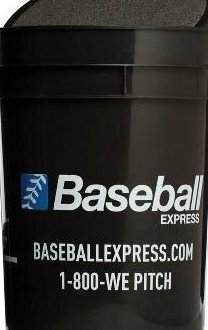 Keep your practice balls away from moisture damage in this 6-gallon bucket. It's easy to carry, holds approximately 5-dozen baseballs and comes with a padded lid for comfort. Bucket only. Balls not included. Color: Black.